← Irvin, Llovera, Viza and Howard, Show The Phillies Have Starting Pitching Prospect Depth Not Named Sanchez or Medina! Any top rankings of players in the Phillies farm system would not be complete without the names of Connor Brogdon and Zach Warren for the Lakewood BlueClaws and Trevor Bettncourt and Addison Russ for the Clearwater Threshers. They serve in setup and closing roles respectively for the BlueClaws and Threshers. They will play major roles in the playoffs if those two teams are to have any success. To say they have had strong second halves of the season out of the pen would be modest. They have been all but shutdown relievers in the second half. Brogdon has pitched to a 0.56 ERA. He is 2-0 and is 2 for 2 in save situations allowing only 10 hits, one earned run, walking 3 and striking out 25 in 16 innings. Not including Sunday night’s game. Warren has pitched to a 0.82 ERA. He is 1-1 and 6 for 6 in save situations allowing only 7 hits, 1 earned run, walking 3 and striking out 27 in 11 innings. Not including Sunday night’s game. Update: As we were finishing this blog, Brogden pickup his 5th hold and Warren his 15th save of the season in a 5-4 BlueClaws win. Warren struck out five in the last two innings of the game including the last three batter he faced, all swinging in the top of the ninth. In his last 10 games, Zach has now struck out an unheard of 29 in only 12 innings of relief. Bettencout has pitched to a 0.53 ERA, He is 1-0, allowing only 13 hits, 1 earned run, walking 3 and striking out 21 in 17 innings. Russ has pitched to a 0.90 ERA. He is 1-0 and 6 for 7 in save situations allowing 10 hits and 1 earned run walking 3 and striking out 16 in 10 innings. 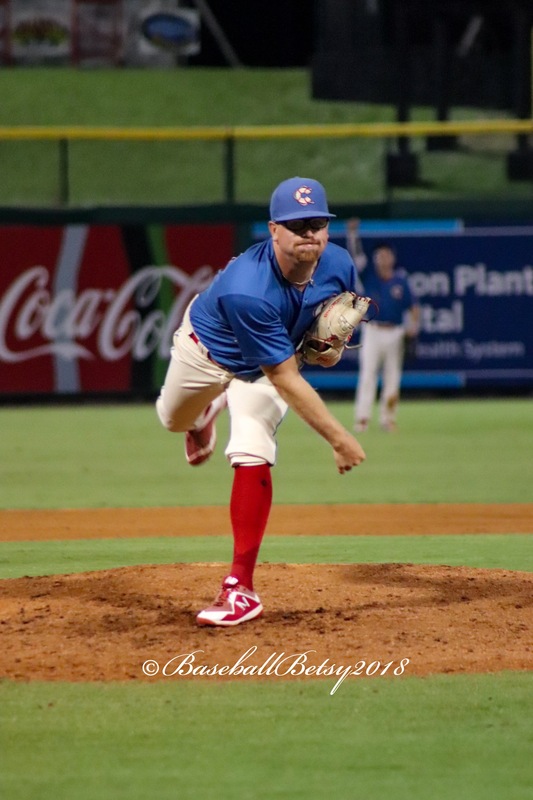 If the BlueClaws and Threshers are to go deep into the post season, it will likely be because of Connor Brogdon and Zach Warren for Lakewood and Trevor Bettencout and Addy Russ of Clearwater out of the backend of their bullpens. 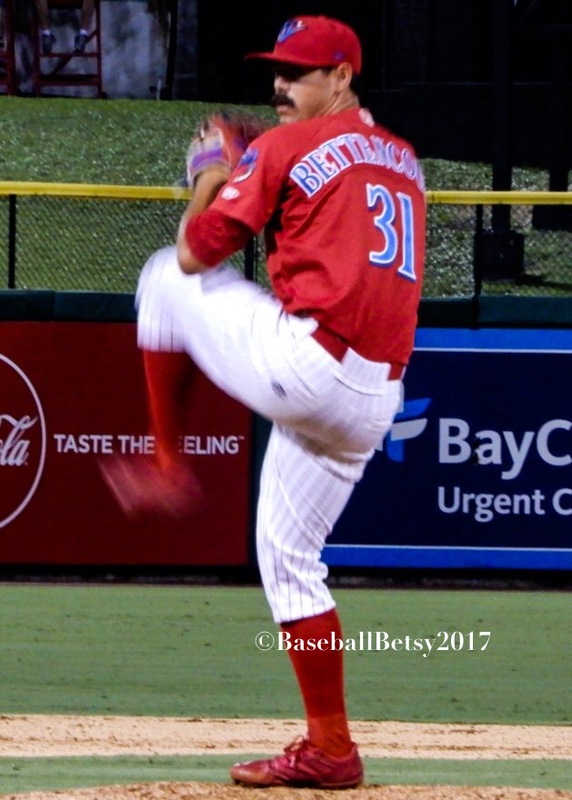 This entry was posted in 2018, August and tagged Addison Russ, Baseball Betsy, clearwater Threshers, Conor Brogdon, Lakewood BlueClaws, Philadelphia Phillies, Trevor Bettencourt, Zach Warren. Bookmark the permalink.